Since the advent of touchscreens in the late 1960’s touchscreens have undergone myriad number of advancements. From scratch-resistant screens to ultra-sensitive ones, these interfaces just speak volumes about the way technology has evolved. Touchscreens come in two variants: Resistive and Capacitive. The nomenclature reflects the working of the two varieties. Resistive touchscreens were the first ones to be used on smart phones and tablets, though they are not out-dates ones now. 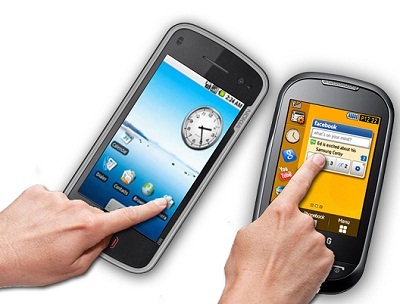 Here is a comparison of the two popular technologies used in building a touchscreen. Though it is not an absolutely perfect guide, it will give you an idea of which one is better in which parameter. Touch accessory Any pointed object will work fine Special stylus is required for better operability. Many modern touchscreens do not work if any objects other than human fingers are used. Robustness Though a resistive screen is responsive to any kind of pointed device, it has a vulnerability to force by pointed objects. More force will eventually make it difficult to use. However, it is sturdy enough to sustain the adverse effects of a fall As the outer layer is made up of glass, it is resistant to scratches and is easy to clean. However, it is vulnerable to the shattering effect of a fall. These observations have been compiled over a study of various sources including people, web sites, journals. Please feel free to share your views and experiences.